This cake is very easy to decorate. You can make this cake without any decorating tools other than a cake pan! 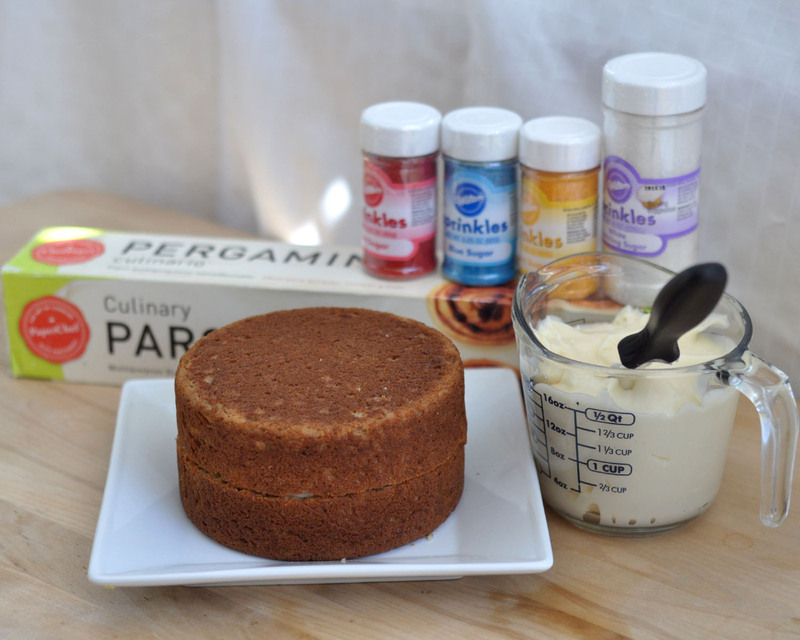 Begin by icing your cake smooth. To get a smooth cake with a cream cheese or other "non-crusting" icing, you want to cover the cake with icing, then make as few strokes as possible while turning the cake for the sides, and use few strokes to go around in a circle along the top. 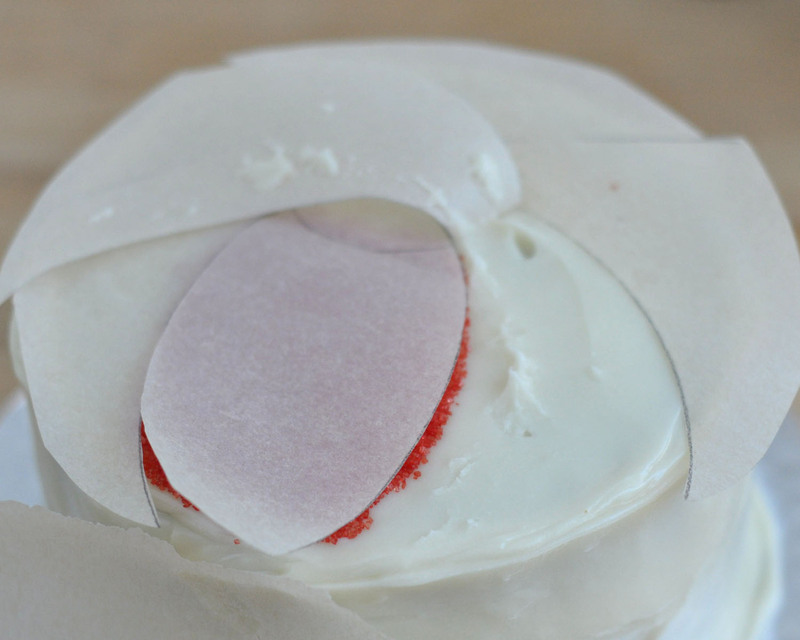 Place the cake in the refrigerator to allow the icing to set so that it won't stick to your template. Make a template by tracing the outside edge of your pan onto parchment paper. (Not waxed paper. It will stick more than parchment to your icing.) Cut out the circle. 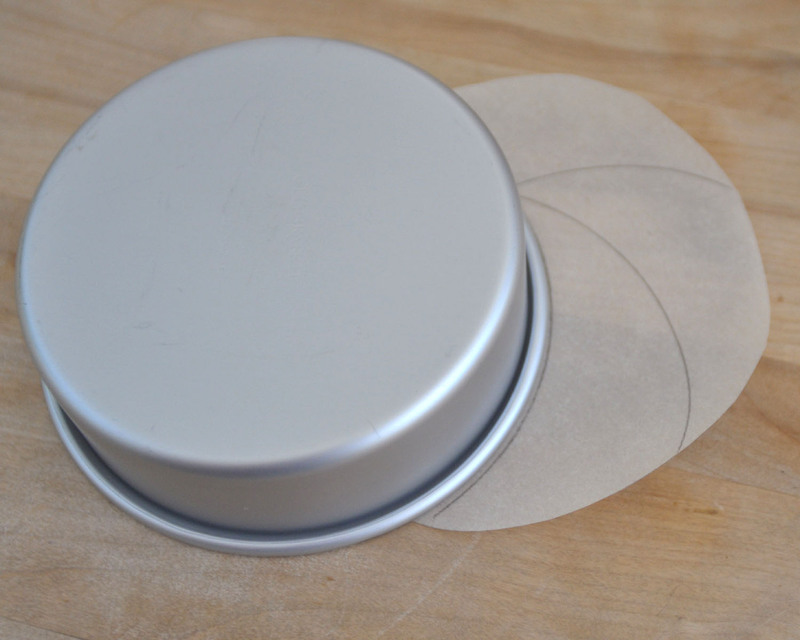 Make the lines for your design by placing the pan slightly askew on the circle. I usually make 3 half-circles -- giving me 6 sections to fill. 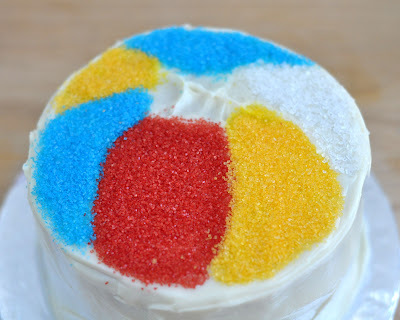 I prefer to not overlap them directly in the middle to give each section a different shape. 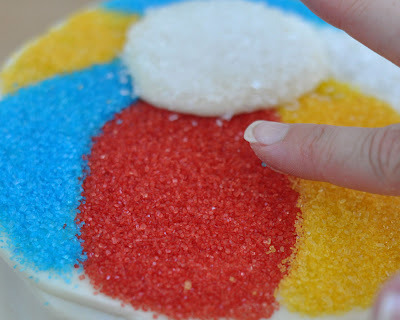 Trace a circle in the middle to make the "button" for the top of the beach ball. 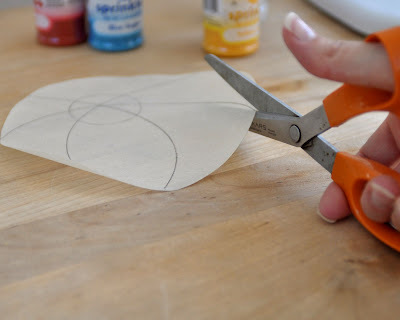 Cut along the lines of the template, stopping at the circle outline. This is what the final template should look like. 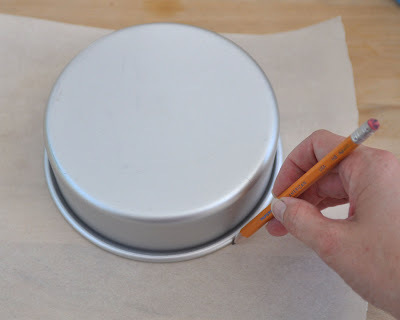 Gently lay the template on top of the cake. 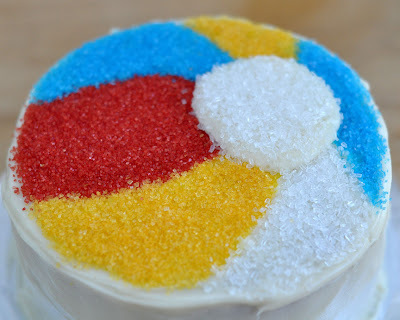 Fold back one section- at the circle- and pour sprinkles liberally in the section. You can gently press the edges of the adjacent sections if you want to be sure the sprinkles don't mix into the next section. 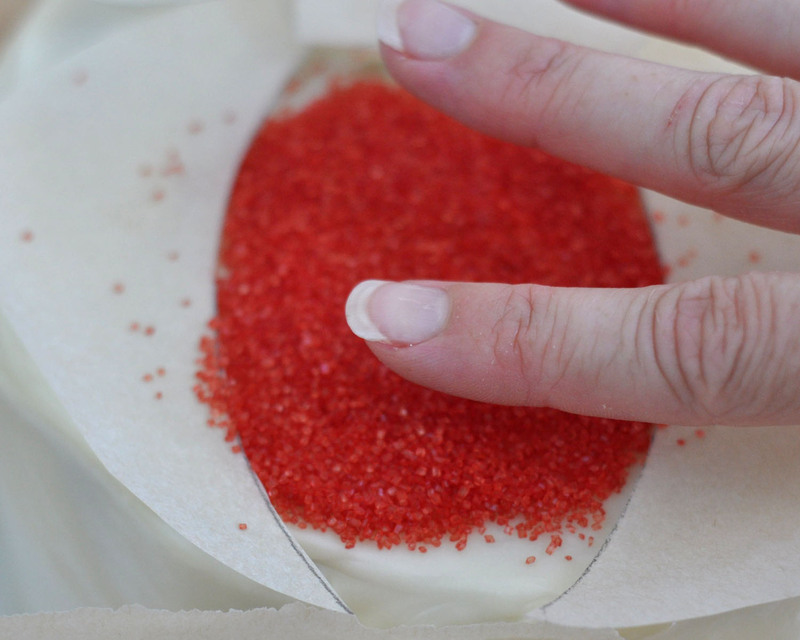 Use your finger to spread the sprinkles to the edges. Repeat for each section, varying your colors. 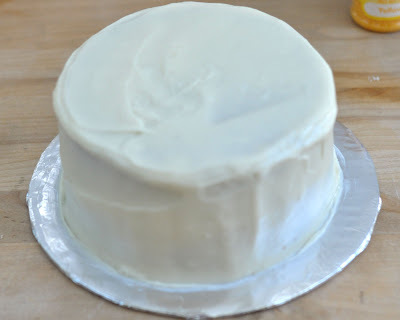 Be careful that you wipe off any excess icing that stuck to your template before you fold it back over the sprinkles, or those sprinkles will stick to the template. When you've sprinkled all sections, remove the template. 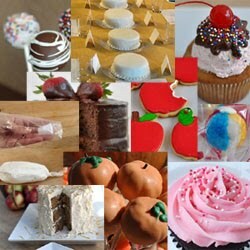 Notice that the icing does stick in some places. No big deal. 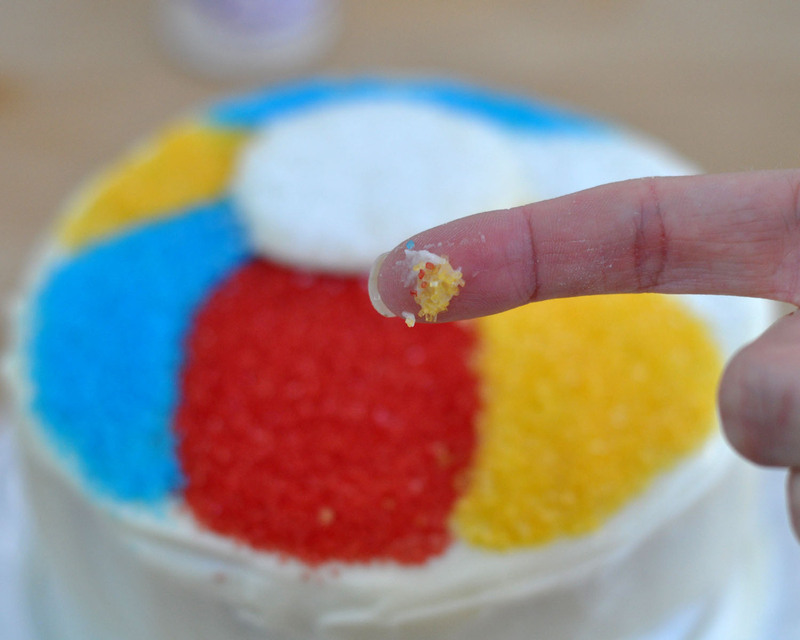 You're covering it with sprinkles anyway! To create the button, you can either use a spatula to spread some extra icing in the center, simply fill in your empty center spot with clear/white sprinkles, or use a large-opening tip (I used tip #12), and pipe a large circle on the center. Add the clear/white sprinkles to the center dot. It picks up the sprinkles in that spot. Perfect sprinkle picker-upper! If you have a piping bag, and a tip #5, you can add some outlines to "clean it up" a bit. But I'm torn. I don't know which way I like it better. You? 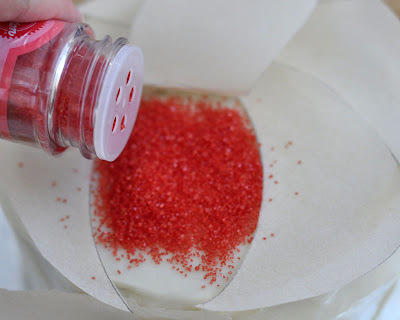 Pipe the separating lines first, then put sprinkles? ! 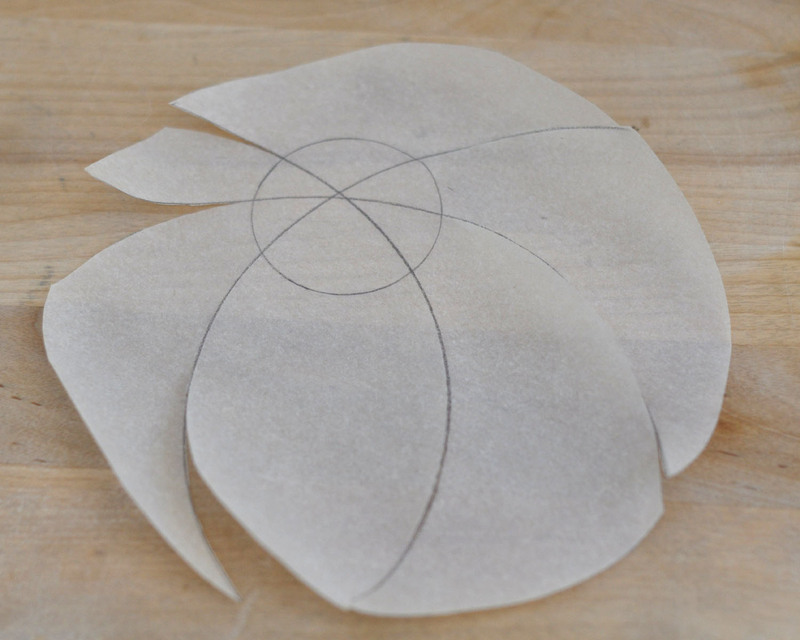 Use the flat side of a #46 to make the "seams". 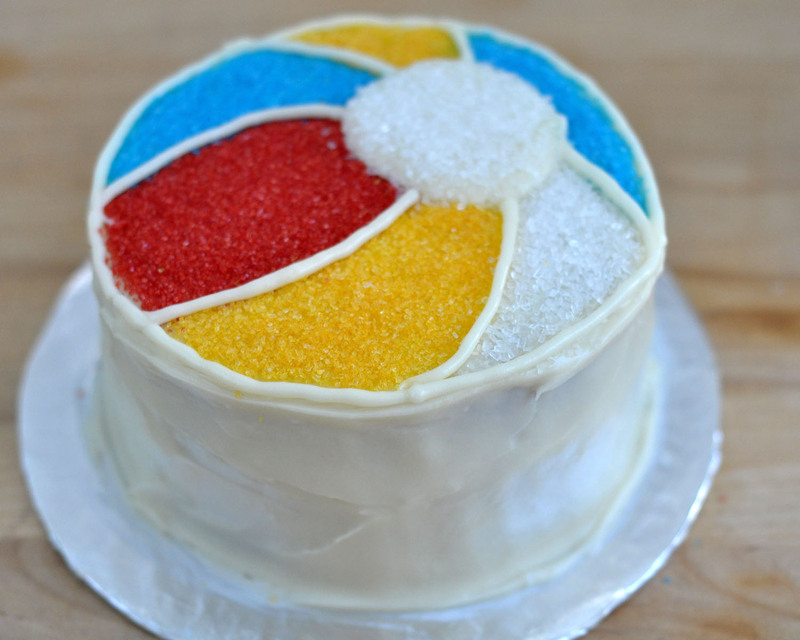 The cake even traveled well. 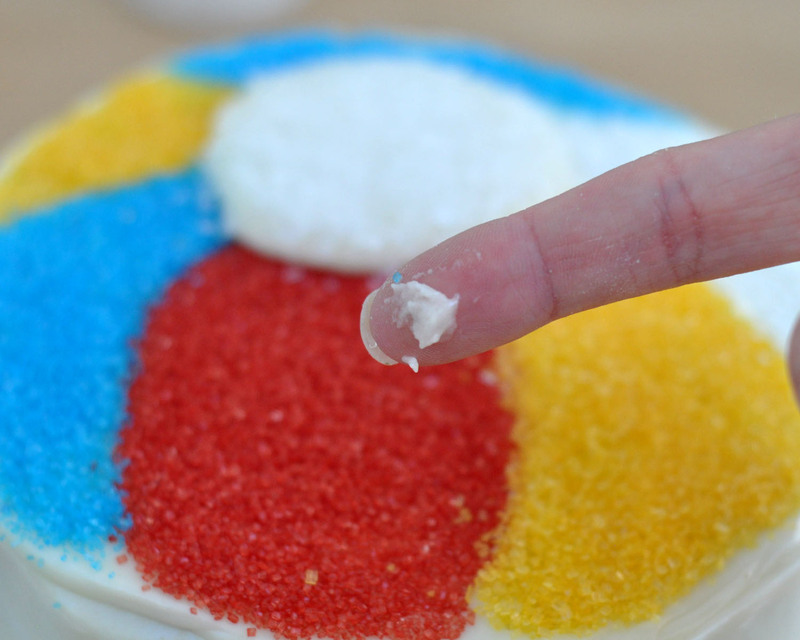 I have to admit, I was worried the sprinkles would be a mixed-up mess after a seven-hour car ride, but only a few clear sprinkles from the "button" were displaced!